Safe looks good on you. A crash can happen to the most experienced rider out there. That’s why it’s so important to wear safety gear that’s got your back. 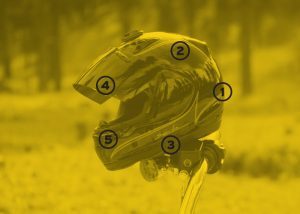 The single most important piece of gear you can wear is a motorcycle helmet. In fact, riders without them are three times more likely to suffer brain injury in a crash. 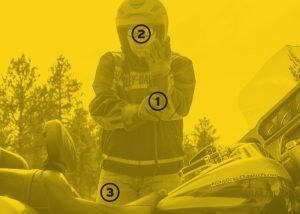 What else should you suit up with for a safer ride? Keep reading. Solid helmets weigh about three pounds with a thick polystyrene-foam lining. Make sure you’ve got sturdy chinstraps to keep everything in place. Helmets protect by shielding your head from penetration and absorbing the shock of an impact. Full helmets with a face shield are best to block wind, rain, bugs, dust and rocks kicked up by cars. 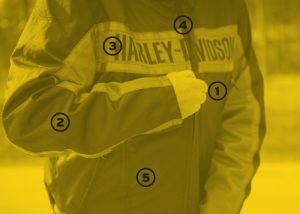 Leathers not only look cool; they’ll save your skin (literally) in an accident. Make sure arms and legs are covered on every ride. Long sleeves are the way to go. Add reflective tape and bright colors to stand out to motorists. Dress in layers to adapt to changing weather. Whatever you use, make sure it’s comfortable so it doesn’t distract from the ride. 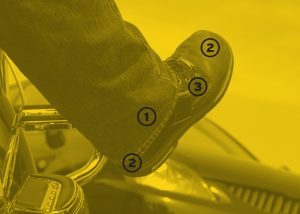 Make sure boots cover your ankles to protect from bone breaks in a crash. Soles should be slip-resistant; look for a steel toe and reinforced heel. Leather looks great and protects from wind and rain. 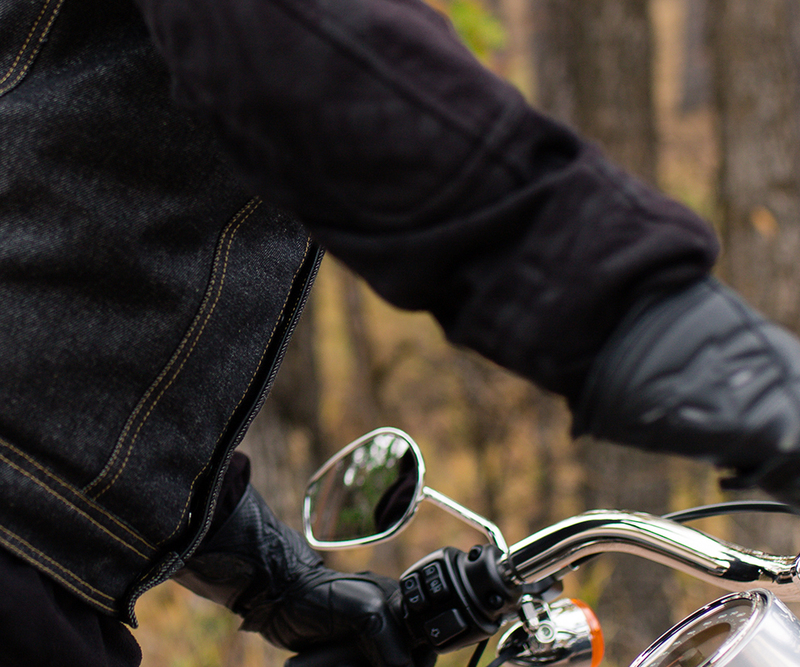 Gloves not only let you grip the handlebars better; they’ll protect your hands in case of a crash and keep you warm. If your helmet doesn’t have a face shield, choose goggles over sunglasses for more eye protection. If you can’t sport leathers, wear thick, heavy denim to protect your skin. Shorts and flip-flops weren’t meant for motorcycles – ever!